Hello everyone! I look forward to welcoming your attendance at the upcoming exhibition event where I’ll be participating. Stop in and say hello, stay awhile and enjoy the celebration. I hope you all enjoyed a nice weekend wherever you are. Changes in the season are cause for celebration as leaves and flowers bloom everywhere. It’s a gorgeously warm day here in the New York City area and that alone is enough to test my patience. The reason is an urgent need to work on projects, while thinking about going outdoors. I think a little walk away from the usual is in order! I find it’s a great idea to step away from whatever we do at home, even if for a little while. Later on, I won’t regret that I missed out on much-needed sunshine. Where I’m situated, it’s a must with all the lengthy cold and gloomy days we otherwise experience. My recent exhibition in “Sound and Vision” at ConArtist Collective Gallery was a whole lot of fun. I’m onto the next one in: “But Is It Art,” which opens this Wednesday, May 6th, 2015. 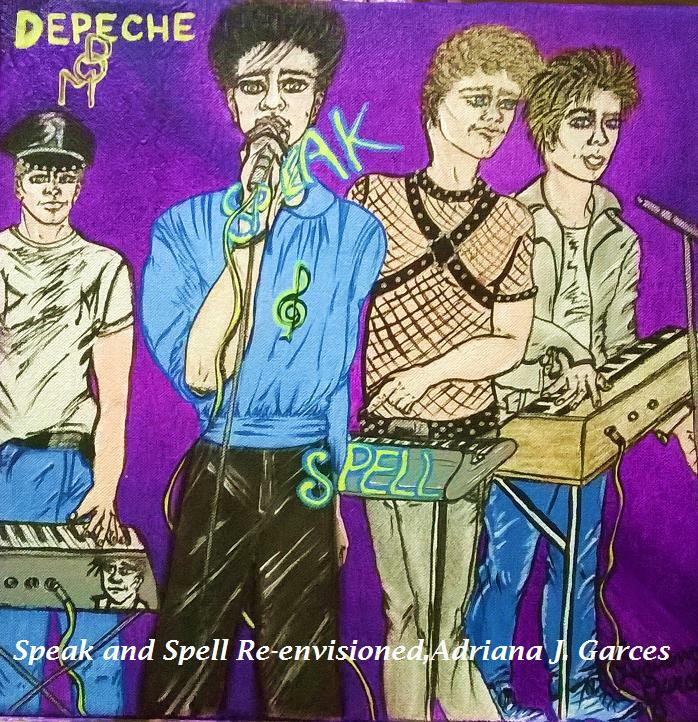 I’ve added the piece I showed at Sound and Vision “Speak and Spell Re-envisioned” to my Gallery. I hope you enjoy it as much as I loved creating it. Until next time, be well and enjoy some of this glorious season! Hello everyone! I look forward to welcoming your attendance at the upcoming exhibitions and events where I participate. I’ve written a few posts regarding exhibitions here so far and hope you’ll enjoy them, as well. Say hello, stay for a bit and join me in celebrating. I’m so excited to present to you some highlights from the exhibition I am currently participating in: “Sound and Vision” at ConArtist Collective Gallery. The opening event was just last night and it runs through May 2nd. 2015. If you weren’t there last night, no worries- there’s still time to check it out in person. The closing event will be on April 29th. at 7 pm, where many of the Artists in the exhibition will usually be available enjoying the party along with guests, including myself. In June 2014 over Father’s Day weekend I participated along other Artist Members of ConArtist Collective in the Paterson Art Walk. All of us were given choice in the selection of pieces to show. Since the Paterson Art Factory is made up of many buildings and is an old mill converted into art studios, the square footage is huge…I mean, the dreamy kind of large any artist could wish for! If ever you have the opportunity, visiting the Art Factory will prove an adventure in itself. The one piece I really wanted to stand out is a Subwoofer I’d painted on all four sides and the top. It’s been in the family for quite awhile and is still kicking out a mean bass! That little sound box was originally part of a gaming system my nephews and niece first owned and shared with my children whenever they got down to battle in digital mode. The title and theme I used for promotional aspects is: “The #BassBoom Project.” I use the hashtag here as it can be found across many web platforms within social media.